Regular readers will know of my enthusiasm for building dashboards, especially using Google apps (like this one or this how-to article). So I was super excited in May of this year when Google launched Data Studio, a free data visualization and dashboard tool to compete against incumbent dashboard vendors Microsoft PowerBI, Tableau and Qlickview. Here, I’m excited to share my initial impressions and show you some of the basics steps to build dashboard reports using this tool. I’ve been using it these past few days to build several different test dashboards. First impressions: I love it. It’s simple and intuitive. Impressive. Of course, since it’s a beta launch and it’s a nascent product, there are still areas where it’s lacking sufficient depth or flexibility and it’s a little buggy in places (see discussion below) but overall it’s a significant entrance into the Business Intelligence world for Small and Medium Businesses. For Enterprise businesses, Google has Data Studio 360 – the full-fat, paid platform. This article focusses on the free Data Studio version. So, another data analysis tool? What’s the value proposition here then? 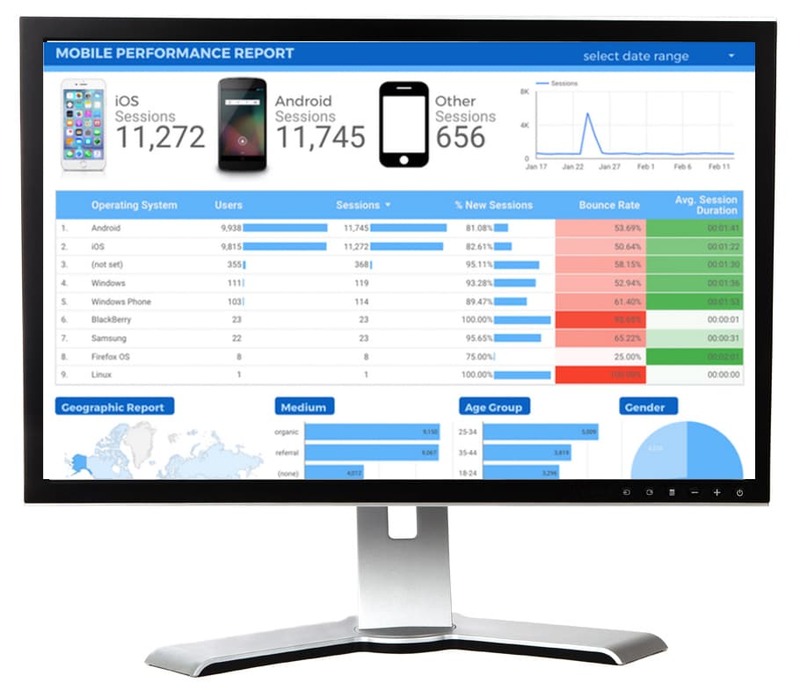 The premise is that you can connect all of your disparate business data sources (only Google services at the moment but there are other non-Google data connections coming soon) and easily build beautiful, interactive dashboard reports to display that information. And all atop Google’s super-reliable, powerful, scalable architecture. Plus, as with so many Google products, it’s free. It’s a simple drag-and-drop process to add charts and build reports, and it doesn’t require any knowledge of coding. That makes it super quick to create and modify reports. There’s a boat-load of data and formatting options so you can customize reports to match your needs. Want to see what this tool is really about? Heck yeah, I thought so! Well there’s no better way to do this than seeing a real dashboard with real data. 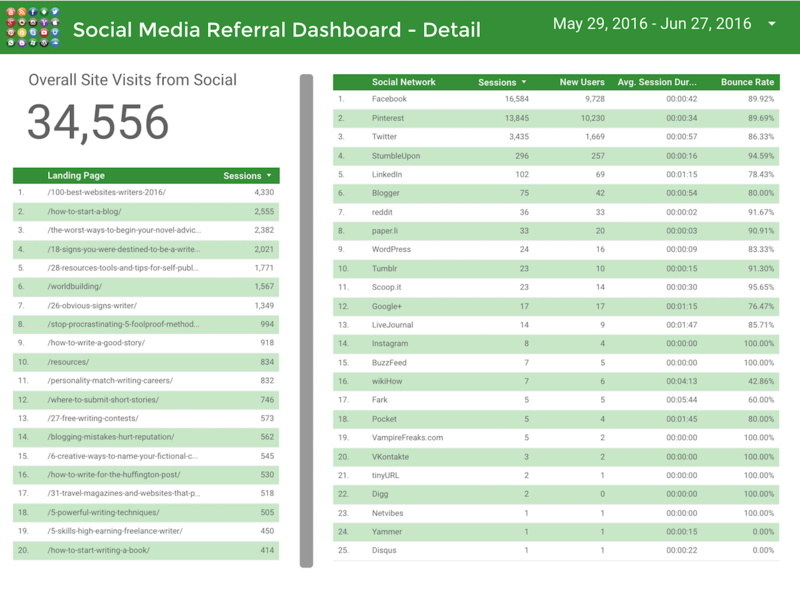 So I’ll show you a dashboard for reporting social media referral traffic of a mid-size website (~500k pageviews a month). I’ll show some of the steps below and discuss how easy it is. I’m not going to go through every step in detail, instead I’ll mention a few of the main steps and key points to keep in mind. There are three steps to using Data Studio: 1) connecting to a data source, 2) creating visualizations in a dashboard, and 3) sharing your finished creation. If you’re interested in a really deep dive into this tool check out my new, online course all about building beautiful, informative dashboards with Google Sheets and Data Studio. 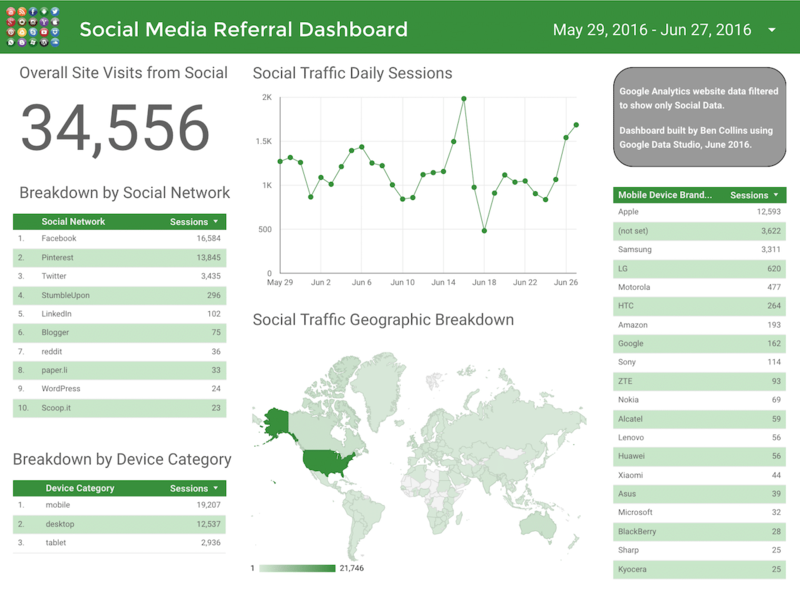 – Learn how to build beautiful, interactive dashboards in my online course. – 9+ hours of video content, lifetime access and copies of all the finished dashboard templates. This imports all of the data into my report and makes it available for charting or displaying on my dashboard. I discuss these steps in more detail in the video at the beginning of this post. In the control bar along the top of the window, there are 9 chart types available (line, bar, pie, table, geographic, scorecard, scatter plot, bullet chart and area chart) and the ability to add images, text, rectangles and circle shapes. Plus there are two filters available: date and a general “type” filter. I’d encourage you to play around with the tool for a while at first, adding and deleting different charts to get a feel for what they look like and what sort of data they can display. There’s more info in the video at the start of this post. Once you’ve finished building, switch to view mode to lock everything down and remove the gridlines. The filters still work in this view mode. As a final step, you’ll probably want to share your dashboard with colleagues, clients or friends. Click the big Share button in the top R corner of the screen to bring up the share menu pane. Here, you can enter email addresses of people you want to share the dashboard with or, as shown in the following image, copy the shareable link and send that to people, share on social media or your website. In both cases you can control whether others will have editing access or see the dashboard as view-only. It’s flexible and can connect to multiple different data sources. It’s super easy to create charts. Without too much effort you can produce really professional-looking, slick dashboards. It’s really quick to create reports. 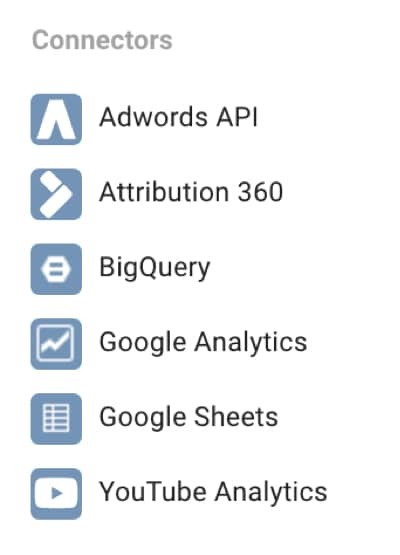 There’s a huge level of customization, especially with the Google Analytics data connection. Multiple pages allow you to create a hierarchy of dashboards of increasing levels of detail/complexity, to tell a story. Best of all, the data range and filter range controls are very easy to implement but incredibly powerful in how they work. And of course, like many Google products, it’s free! It would be awesome to have object guidelines show up when moving objects around on the dashboard (e.g. photo editing software Pixelmator does this very well), to make it easier to line them up. On a similar note, snapping to a grid to help line up objects would be helpful. Provided it could be toggled on/off of course! I’d love to see more granular control over the chart details, for example formatting of the axes and working with data labels. The range of options is a great step in that direction and you can already make beautiful looking charts but this would take it to the next level. I could not select multiple items by holding down the Ctrl (or Cmd) key and selecting, which struck me as odd. You can select multiple objects by dragging and holding the cursor across them however. 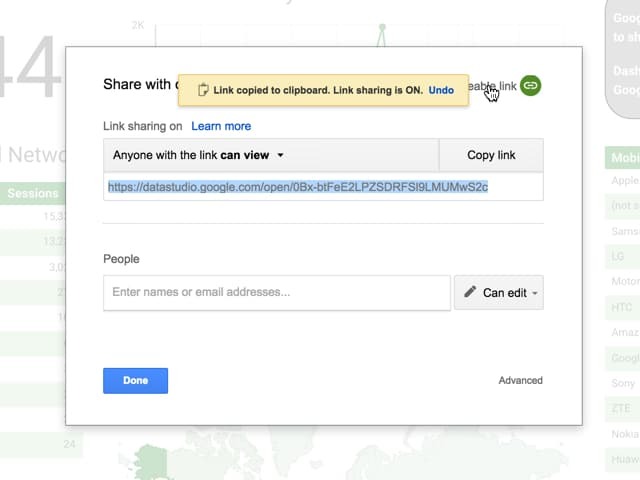 When I tried sharing, I was prompted to log into Google despite choosing the option to share with anyone. So, it seems that non-Google users can not view these dashboards at the moment. When in Full Screen display mode, the page buttons are hidden and barely accessible, making it difficult to navigate through the dashboard. If you’re invested in the Google ecosystem, work with data, especially Google Analytics, then I’d encourage you to give it a try. I’m sure Google will invest in this product and build out the features and data connection options. It’ll be interesting to see where it goes and how it competes with Microsoft’s PowerBI and other vendor offerings. From me, keep an eye out for future posts and how-to articles with this tool, specifically for building business dashboards. I’ve also launched my online course about building dashboards with this tool. It’s over 9 hours of video content, all about building beautiful and functional business dashboards with Google Sheets and Data Studio. Data Studio has now been released in Canada, Brazil, Germany, Netherlands, Spain, France, United Kingdom, Italy, Indonesia, India, Japan, South Korea, Australia, Hong Kong, Malaysia, New Zealand, Philippines, Singapore, Thailand, Taiwan and Vietnam. Data Studio is available in Australia now, so you should definitely be able to connect to any Google Analytics accounts that you have access to. 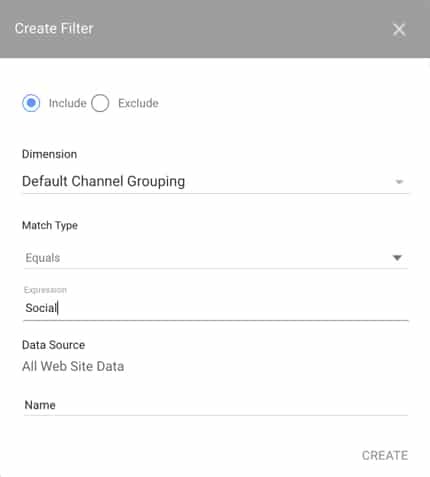 You need to then click on the Google Analytics connector in the data connections pane (on home page, click DATA SOURCES and then the big blue plus sign to add a new data source).